Automobile development looks to be the new front line in the war between technology giants. We know Google is working on automobile technology, self driving cars and even perhaps a driverless taxi service. More recently Apple was rumoured to be working on electric vehicles to rival those made by the likes of Tesla. The WSJ has since described Apple's code-name 'Titan' car as a "minivan like vehicle". Now, according to the FT, Japanese electronics firm Sony aims to throw its hat into the automobile technology ring. Its first moves in this direction have already taken place. Sony has invested about Y100m ($842,000) for a stake in Japanese robotics startup ZMP. 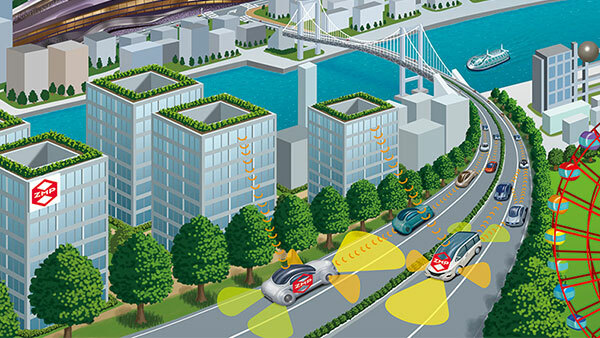 Combining ZMP's knowledge with its own expertise in image sensors – vital for self-driving vehicles – Sony hopes to do well from the self-driving automotive industry. Sony has predicted that the self-driving automobile market as a whole will create strong demand for its image sensors with each vehicle needing 10 or more, and each camera unit expected to be four to five times more expensive than a smartphone camera component. Smartphone fans will know Sony sensors in smartphones are very popular; it controls about 40 per cent of the smartphone imaging market. Meanwhile in the automotive industry Sony trails behind in fifth position. However it is confident that it can push to become the top pick for carmakers. "We built the market for smartphone cameras. Now we can do the same with automotive cameras," said Shoichi Kitayama, Sony's general manager heading the automotive team, reports the FT. While the Sony push into imaging sensors for automobiles seems like a safe bet, details concerning the company's self-driving car projects are rather vague. Sources familiar with the ZMP robotics deal say that the two companies will combine their technologies to produce self driving car technology. That's all we know right now, whether the collaboration would extend to producing full automobiles remains to be seen.